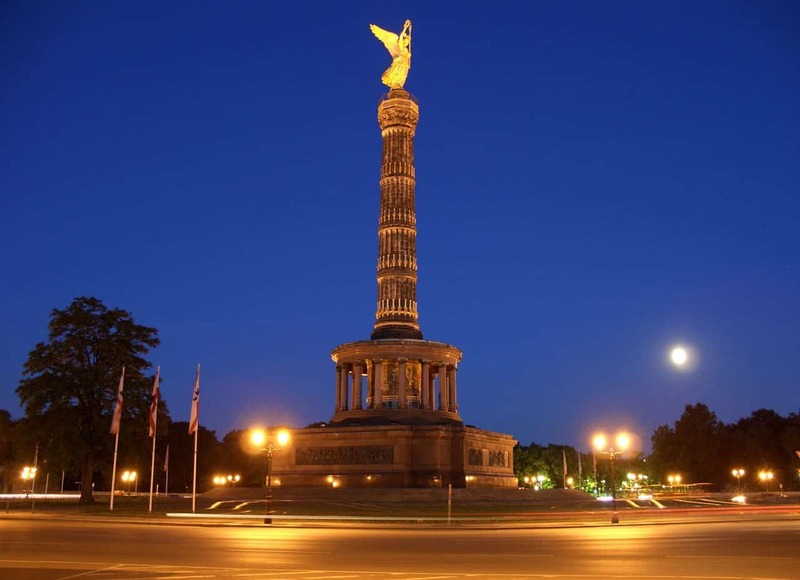 The Victory Column is a monument in Berlin, Germany. 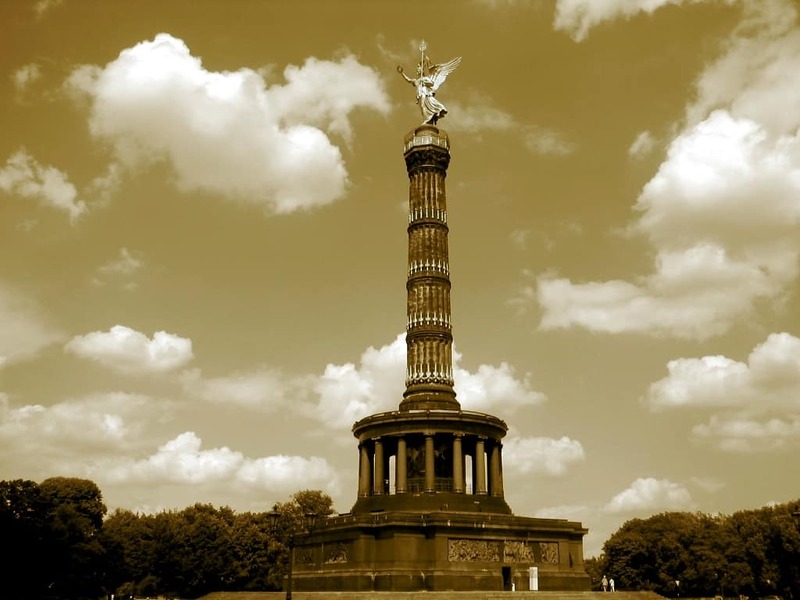 Designed by Heinrich Strack, after 1864 to commemorate the Prussian victory in the Danish-Prussian War, by the time it was inaugurated on 2 September 1873, Prussia had also defeated Austria in the Austro-Prussian War (1866) and France in the Franco-Prussian War(1870–71), giving the statue a new purpose. 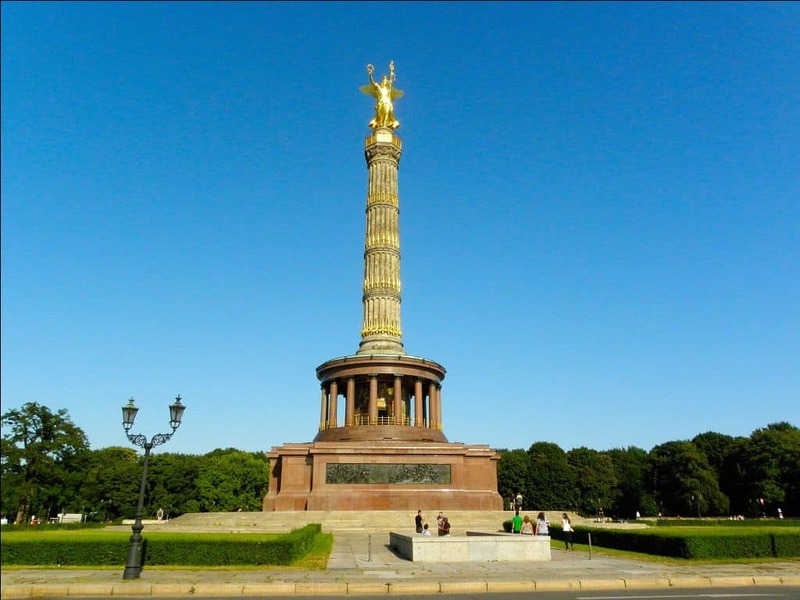 Different from the original plans, these later victories in the so-called unification warsinspired the addition of the bronze sculpture of Victoria, 8.3 metres high and weighing 35 tonnes, designed by Friedrich Drake. Berliners have given the statue the nickname Goldelse, meaning something like “Golden Lizzy”.